*Hand up to anyone who hate light that produced UV rays which causes many side effects to our skin. What if light was the ultimate cosmetic ingredient to helps maintain a ideal skin? The invitation by Talika to launch of their very first skincare line, Photo-Beauty Therapy Line inspired by aerospace energy where NASA revealed that light aids in wound healing in astronauts. It may sound unbelievable at first but Talika did research discovered and isolated an enzyme, a genuine miracle of nature found in a blue micro-algae called the Photo-Beauty Enzyme (PBE). 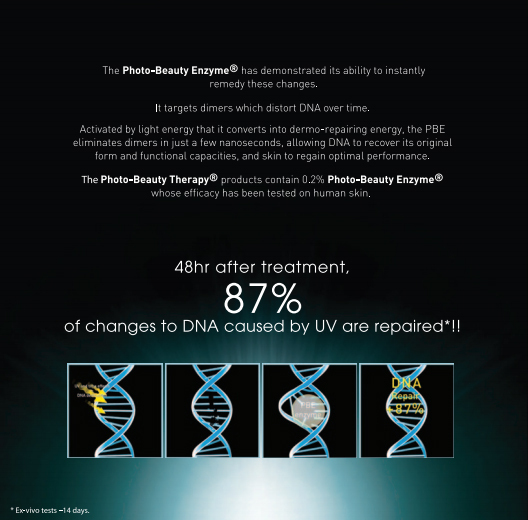 PBE acted like a photo-voltaic cell, has the incredible ability to naturally transforms light energy into dermo-repairing energy and repair damaged DNA by harmful UV rays. By the way, Talika products currently is the one and the only one who sells products with this enzyme. Sound cool huh? One of the event content, we divided into groups and had an ice-breaking session to present the important of light in our life by making a collage in a board. My group board, well actually I did nothing for it because I'm late for the event. Demonstration on how to apply products while briefing how do the products work on face. The Photo-Beauty Therapy procuts contain 0.2% Photo-Beauty Enzyme whose effiecacy has been tested on human skin. Thanks for the generous products to try out. So far I only tried three products, the light essence (tall black bottle) and Brightening Serum and Cream (white series). I like the texture is aqueous in nature. After applying it, I did not felt like having tons of skincare on my face. It very easy to absorb, light and non-greasy at all. The brightening cream was not too thick or rich, just in a right amount that suitable for sensitive skin like I do. Living in a tropical country, feeling oily was such a horrible plus sometime when I've to put make up on, it's just like oil painting on my face. Not promoting or overstate, this skincare did a very good job in my skin and after two weeks using my face become brighter in general and less oily. Close up to my skin. 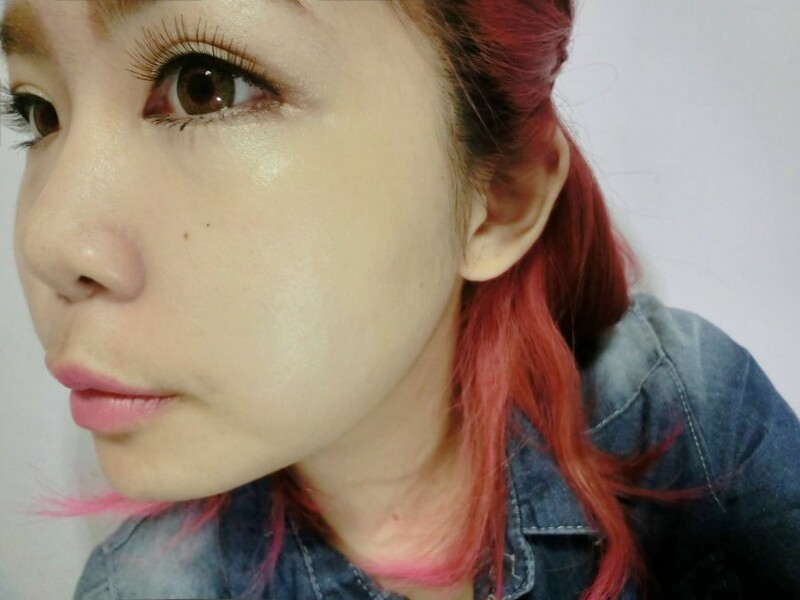 No filter, no ps, no foundation / powder (just only apply eye make up and lip). I took this picture after apply my skincare. Did mention the texture? Lightweight & Aqueous in nature. I missed this... oh my.. hopefully can join next time..